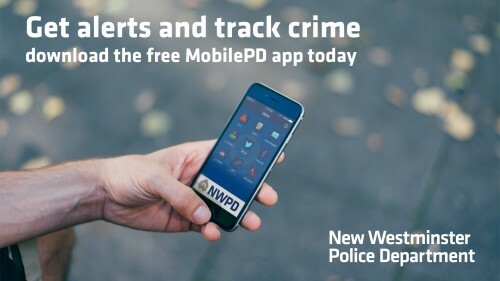 The MobilePD app connects all New Westminster Police Department channels into one app on your mobile device. Stay connected: Easy access to NWPD Facebook, and Twitter accounts. Stay informed: Direct route to NWPD media releases, and alerts. 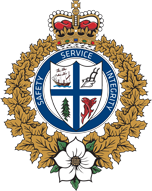 Stay safe: Access crime prevention tips, Crime Stoppers, crime map and more! Alerts: Be notified when NWPD has activated an alert (eg. missing youth). News: Read what’s happening in New Westminster through our media releases. Crime map: See reports of crime in your geographic location. Information is generalized to a 100-block level. Facebook: Interact with NWPD on our Facebook page. Share, like, and comment on our latest news and events. Twitter: @NewWestPD is a great source for up to the minute posts about what’s going on in New Westminster. From there you will see retweets from both our @NWPDPatrol and @NWPDTraffic accounts, where you can read tweets from constables the road. Recruiting: What does it take to be a member? Access our website to learn about a career with NWPD. Email feedback: Let us know what’s working, what could be improved, and what new features you’d like to see added. 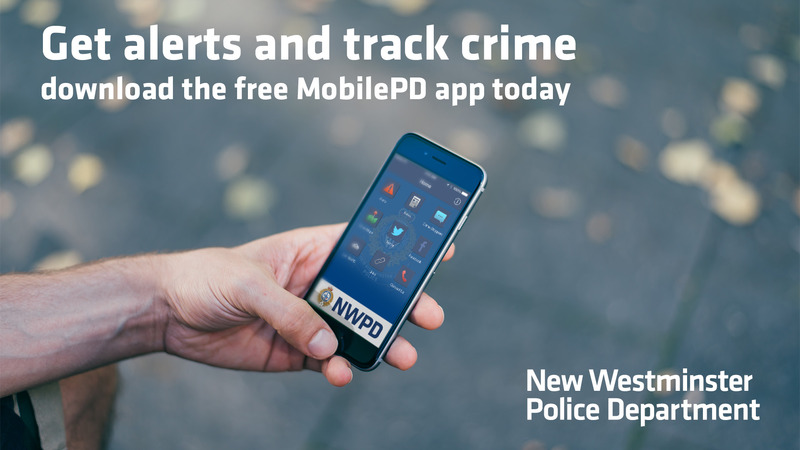 The MobilePD app is for people who live and work in New Westminster and is tailored to you. Please share with us how we can serve you best. If you have any questions about MobilePD you’re encouraged to contact Hailey Finnigan – Communications Coordinator, communications@nwpolice.org, 604-529-2576.